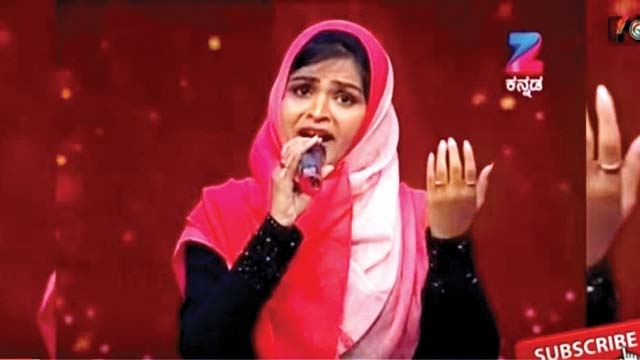 Suhana Sayed, a 22-year Mangalore Muslim girl, sang a bhajan in praise of Lord Balaji in the show Sa Re Ga Ma Pa. Now a 45,000 strong Facebook group called Mangalore Muslims are accusing her & her parents. Why? They say, “we criticized the fact that she sang about multiple gods while she follows a religion that believes in one god.” Seems pretty ridiculous – is there some universal law that one cannot sing or talk about another religion. I hope these types of people begin to realize they are in the 21st century. Suhana has received hundreds and thousands complements form both the judges and the public at large. And where are the secularists… why the silence?